I want to sell something online. How do I put a product for sale online? Fill the following table out and send to webadmin@normanrockwellpta.org and bugle@normanrockwellpta.org. Please note: Sales can present two purchase pages, one for families and one for guests if the event is open to people outside the school (like the musical). 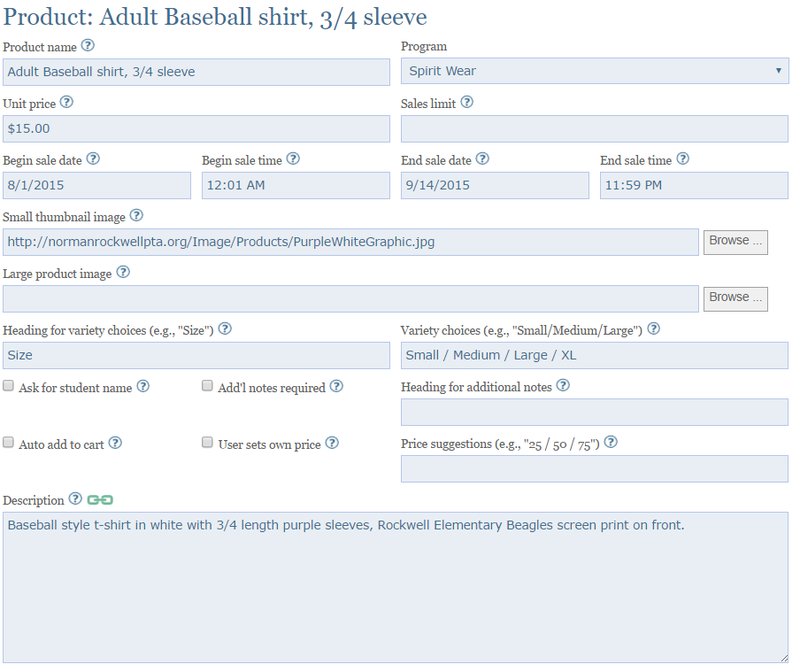 Baseball style t-shirt in white with 3/4 length purple sleeves, Rockwell Elementary Beagles screen print on front.